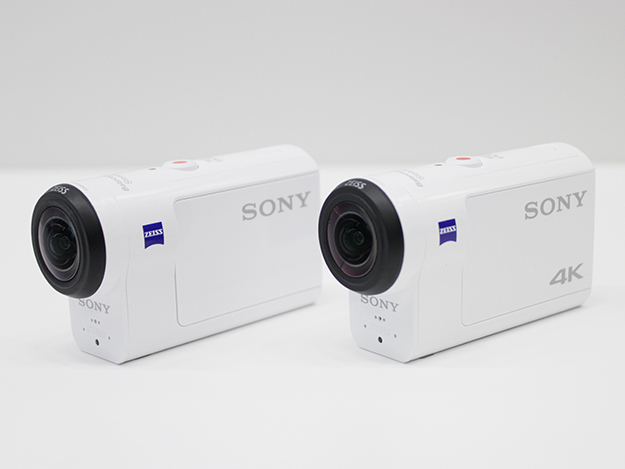 Optical Image Stabilization feature comes to the Sony 4K Action Camera. Sony launches two action camera namely FDR-X3000 and HDR-AS300. Sony 4K Action Cam with model no X3000R is updated with Optical Image Stabilization feature. It also introduces other new features like face detection and latest menu system which is easy to navigate. There are other cam’s from the company but the shortcoming is the video limit of 1080 pixels resolution. Sony has been coming up with action cameras in the past that had digital stabilization. This time, the company is upgrading the action cameras with mechanical image stabilization. Sony 4K Action Cam also sports a new lens that works in distortion reduction. The updated version also includes the latest Sony Exmor R CMOS which is an image sensor that is now back-lit. Sony has in fact released upgraded action cameras that are stabilized FDR-X3000 and HDR-AS300. These two cameras have a ZEISS Tessar wide-angle lens along with 2.8 aperture. They also feature a microphone which is already built-in that is capable of reducing the wind noise in the video. Sony 4K action camera model FDR-X3000 was first announced at IFA with the phenomenal award-winning digital lens series for the digital photography cameras. Recently, just a week back Sony hosted a show at the Internationale Funkausstellung Berlin (IFA) 2016. In this show, a number of new products and devices were introduced. Starting from the Xperia smartphone to Walkman media player and PlayStation VR was showcased in the show. Sony 4K Action Camera FDR-X3000 and AS300 have multiple features with impressive upgradations. To start with the features, both the cameras are very compact and has a white body. They look very similar except for the fact that the action camera model no FDR-X3000 has a 4K sign just down the logo. Although they have a lot of different features if we ignore the outside body similarity. The main difference is the image resolution. Unlike FDR-X3000 action camera which has the capacity to record the video in 4K, the AS300 comes with a full high-definition video camera. Sony has been concentrating on achieving the highest quality image through action cameras and for this it has updated the cameras with Exmor R CMOS sensor and BIONZ X image processor. X3000 and AS300 are capable enough to record the videos in low-light settings and also catch the color and data in a much better way. The videos recorded in both the cameras are in 16:9 aspect ratio and has readable 8 million pixels for all available shooting modes. X3000 and AS300 have 3 pre-set zoom modes, slow motion setting for shoots in almost 120fps in HD and 30fps in 4K. Just like X3000, the AS300 also sport a wide-angle ZEISS Tessar lens, 2.8 aperture and microphones built in which is used for wind noise reduction. The best feature of both the cameras is B.O.SS system which is the cutting-edge Balanced Optical SteadyShot system. It is the latest updated version of image stabilization technology which supports smoother images even in the pictures taken in motion. Due to the B.O.SS, lens and the sensors which are fitted in the action cameras, the image is much clear and has stability even when both optical system pass through at the same time. Sony Action Cameras FDR-X3000 and HDR-AS300 can be bought alone or with some offered accessories to pair it with. Both of them will be out in the U.S. market and can be bought from selected retailers from September end onwards. FDR-X3000 is priced at $400 and HDR-AS300 is priced at $300. You may want to pair it up with the Live-View Remote offered with the action cameras which helps in full-on action shooting. These bundled models are known as FDR-X3000R and HDR-AS300R. The Live-View Remote is basically a remote display but in a watch form which helps in live streaming the camera footage into the portable screen. These bundled models can be bought by just paying $150 more with the price of the camera. There are some other exciting accessories also offered with action camera and they are the AKA-MCP1 lens shield and body casing. This is helpful for making the action camera water-resistant and is safe up to water depths of 60m. AKA-MCP1 lens shield and body casing can be bought by paying another $35.